Sumner has lived at East Wind Community for just over three years now. 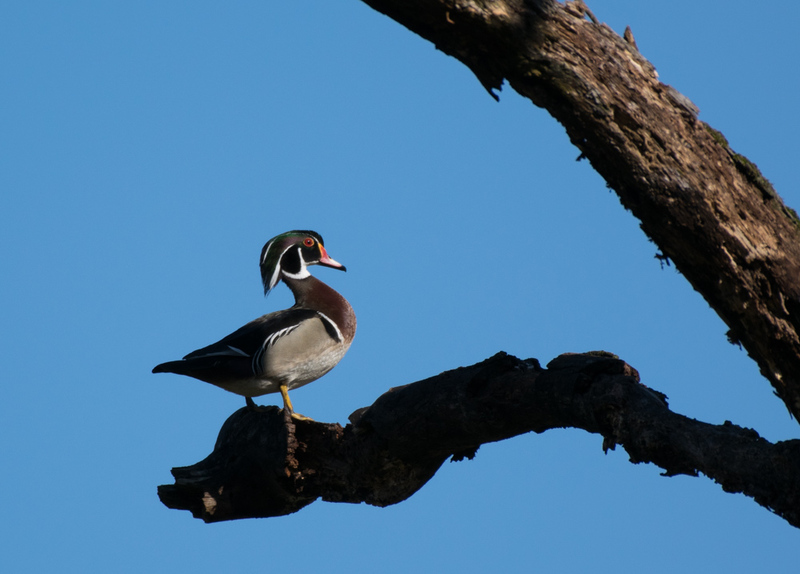 He does a number of things around here, including birding religiously on the weekends and less religiously writing this blog. 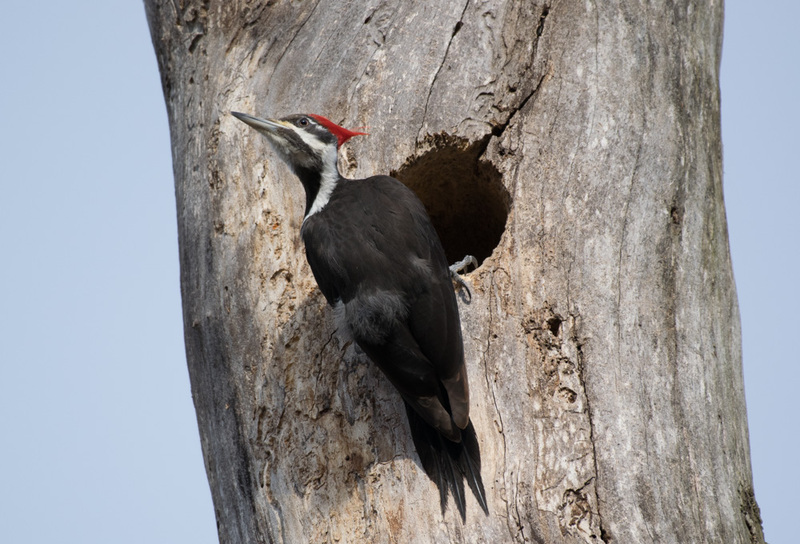 A pileated woodpecker, the largest of the woodpeckers, along Lick Creek. If I allow myself, I can spend hours and hours observing the many and varied forms of life that coexist with me. The woodpeckers, bees, birds of prey, deer, the plants, and the soil it all depends on. Most especially, hearing and seeing birds along the paths I walk everyday has roused an appreciation inside of me for all who share this land. Observing, as well as digitally capturing, the flora and fauna of this land I’m three years acquainted with has become an obsession. A leucistic blue jay (not a true albino). 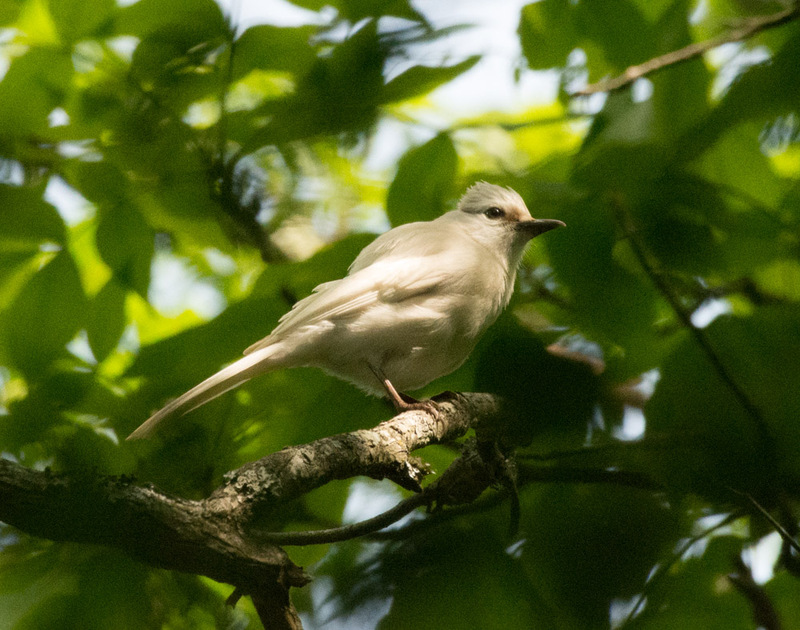 This bird was first noticed last year and I just got this picture this past weekend, prompting this blog post. A juvenile bald eagle. 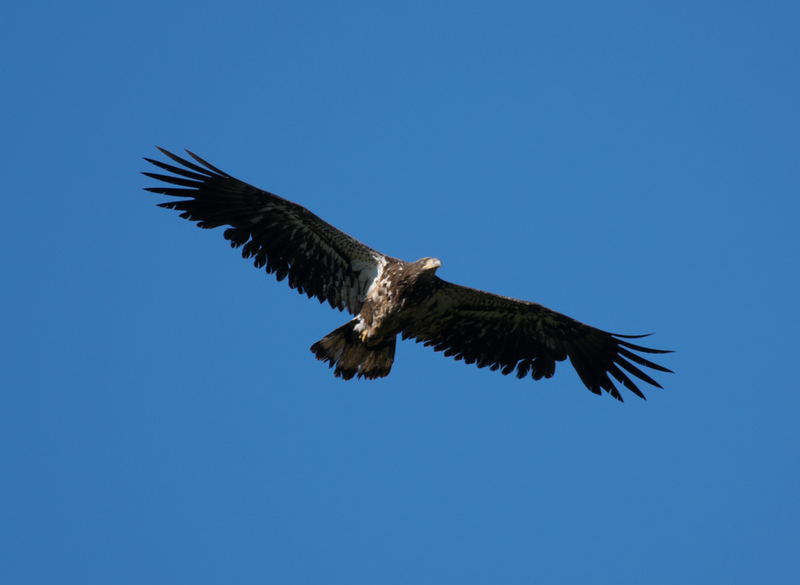 There is a large eagle’s nest on East Wind’s land that has been around for nearly a decade. A desire to learn about the living world is what led me to initially visit East Wind. Gardening was my primary passion. In the city, I was limited in many ways due to space constraints. Coming to East Wind, with decades long established gardens and orchards, accelerated my learning exponentially. Working with a large variety of annuals and perennials alongside those with years and years of experience with the land taught me more than any book or Internet forum could about gardening and how to take care of this land. 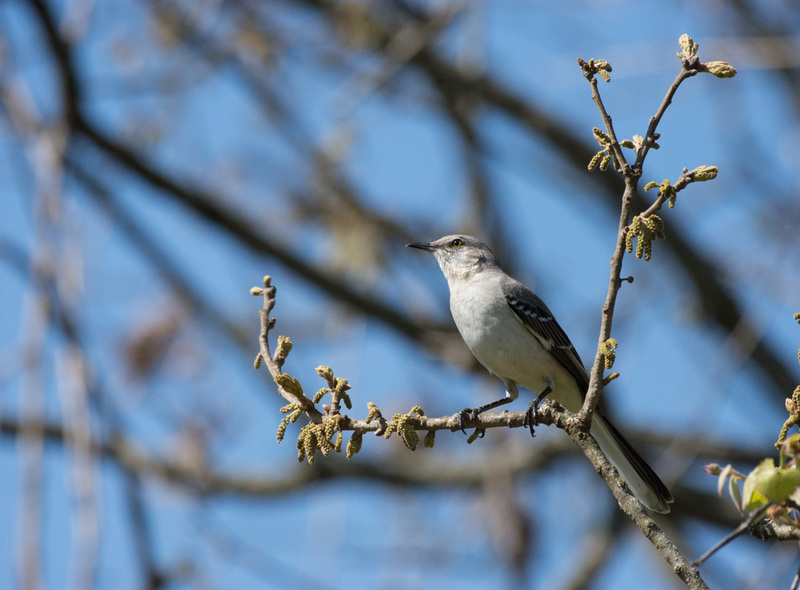 A northern mockingbird, commonly seen along the northern garden fence lines. 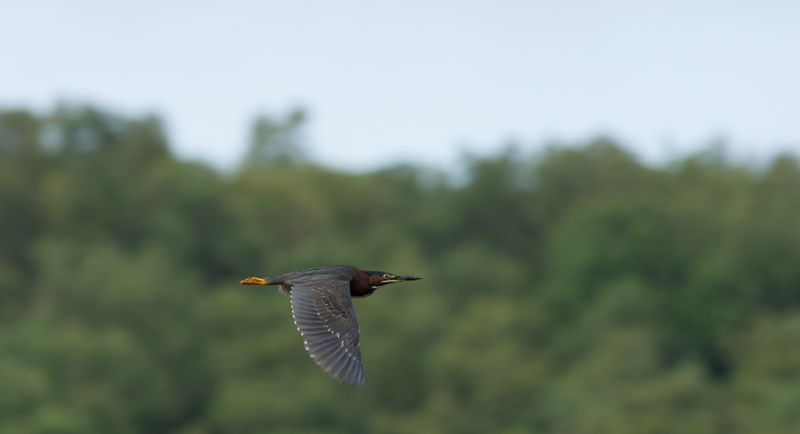 Green heron in flight along the creek. 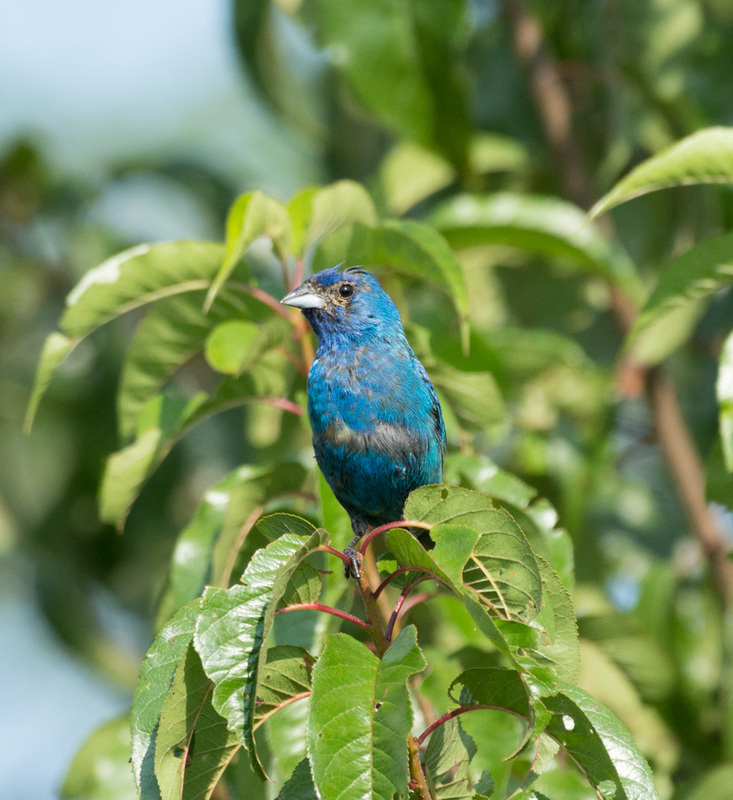 Working the gardens quickly became an introduction to our many flying friends living at East Wind. I love the dark eyed juncos who scratch about in the winter time and the great blue herons that occasionally cruise over the South Garden. Birding has been a passion for well over a year now and the plethora of bees have more recently sparked an interest in me. I take pictures and film of both, as photography is also a hobby of mine, and use these digital images to help me identify them as well as share with you, dear reader (soon to be YouTube viewer!). In the process of birding with a camera I have the pleasure of slowly moving about observing what is going on around me. Becoming familiar with the habits of the blue jays and the owls, watching how things change from cold season to warm and back again. Just about anywhere I am on this land, for most of the year, I will hear the songs of birds and it gives me great comfort. Flocks of killdeer are common in the flooded lowlands. 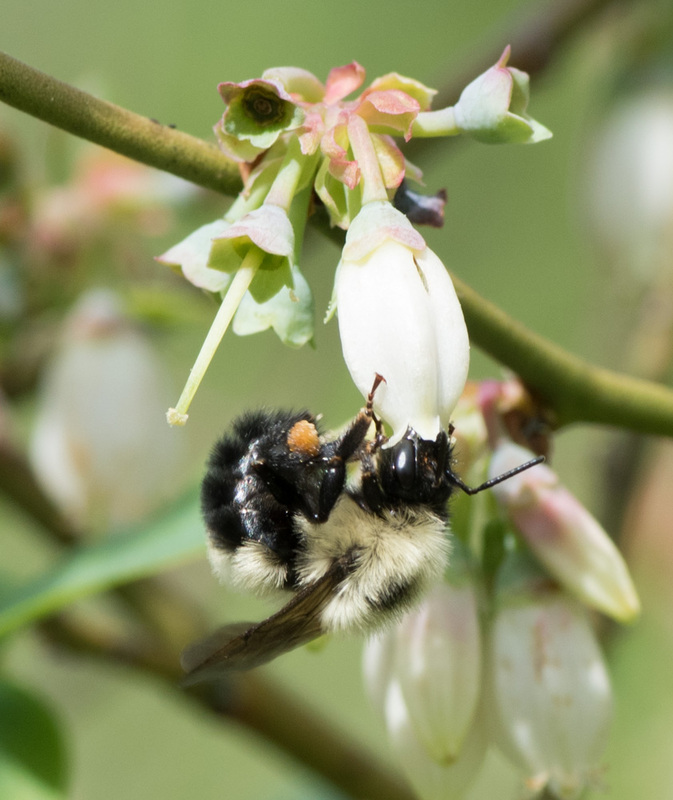 A bumblebee collecting blueberry pollen and storing it on its hind legs (in each corbicula). There are at least four distinct species of bumblebees I have observed, still working on identifying all of them! 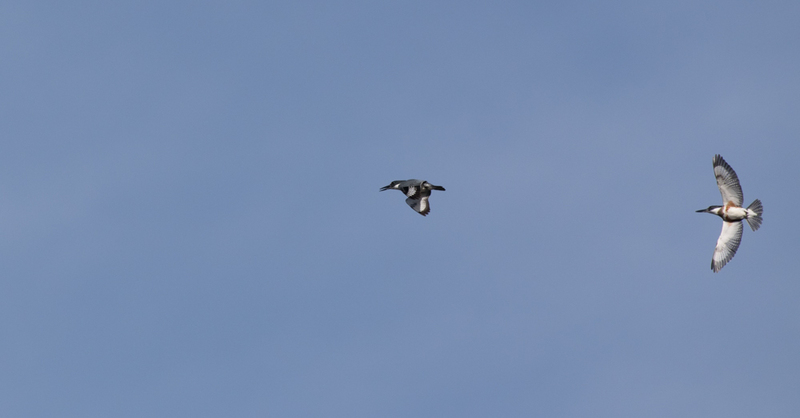 Two belted kingfishers flying together. They move incredibly fast and are very noisy when startled. You may find it difficult to understand how someone who grew up staring at screens for prolonged periods of time (and still does, but not nearly as often) could experience such a change in perspective in their mid-twenties. All I can say is that leaving the city to live in a rural, primarily forested, area makes it hard not to pay attention to the web of life around you. More than ever I am aware of the importance of conserving habitat for those we live with. And I am in a place where I can effectively act upon these impulses to protect the precious biodiversity that remains. Living in Missouri, a state that supports conservation efforts, helps immensely. In ignorance, humans can become incredibly destructive. With some intention, every act is a stepping stone to healing. I firmly believe that when we provide for others, we will be provided for. 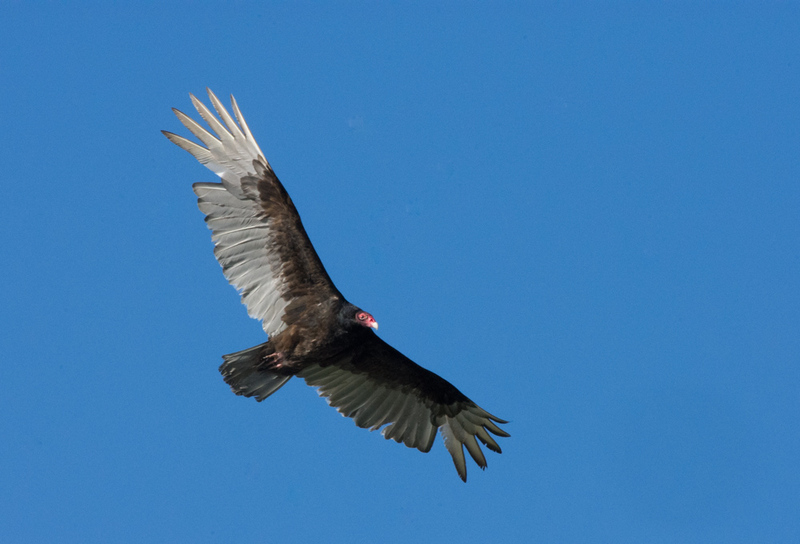 Anyone who lives in Missouri is probably familiar with turkey vultures. 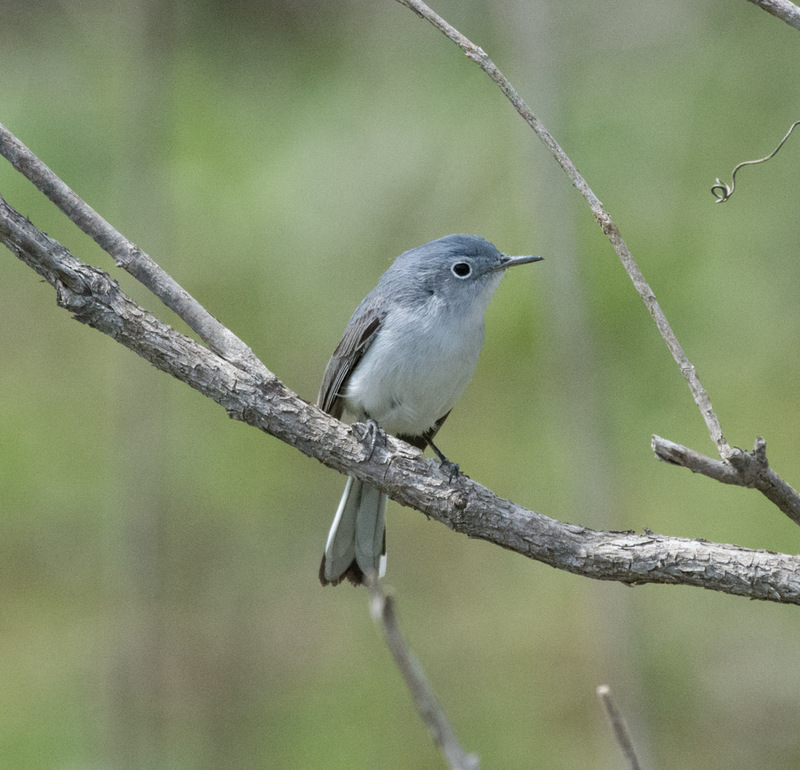 A blue-gray gnatcatcher, one of the uncommon birds in this area. 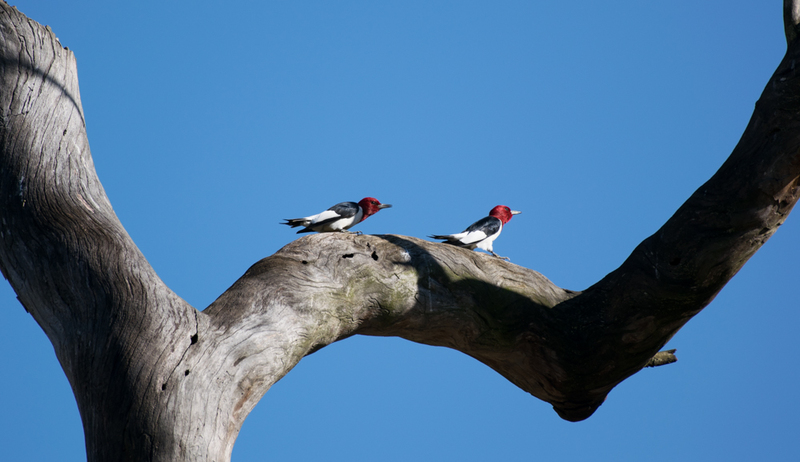 Two red headed woodpeckers. Last year they were incredibly common along the creek, nesting in the dead standing trees. This year, I have seen them more commonly closer to the gardens and East Wind proper. I think this may have to do with a number of dead standing trees along the creek getting swept away. 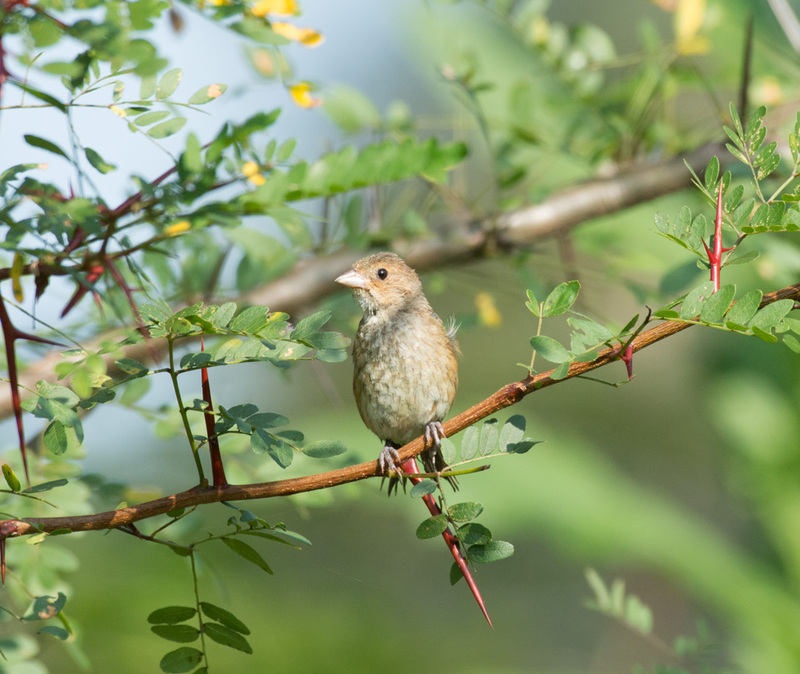 Female indigo bunting, picture taken same day as above. 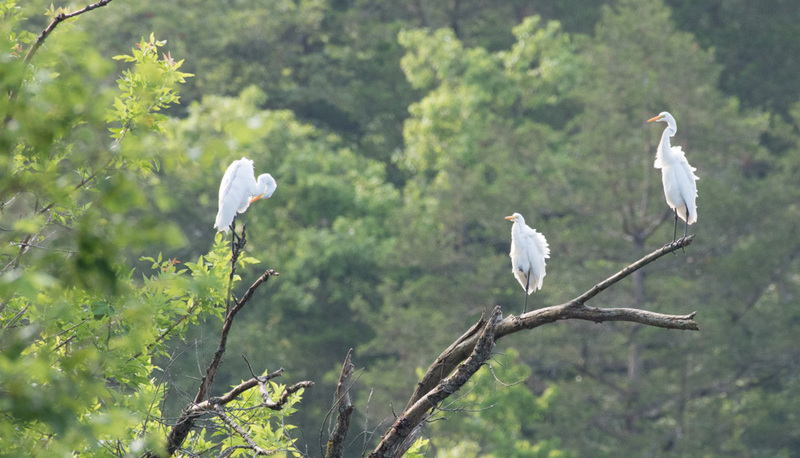 Three great egrets that lived in our flooded hay fields for most of 2017. I waded through water up to my chest with little protective clothing to get this picture… not the brightest idea. 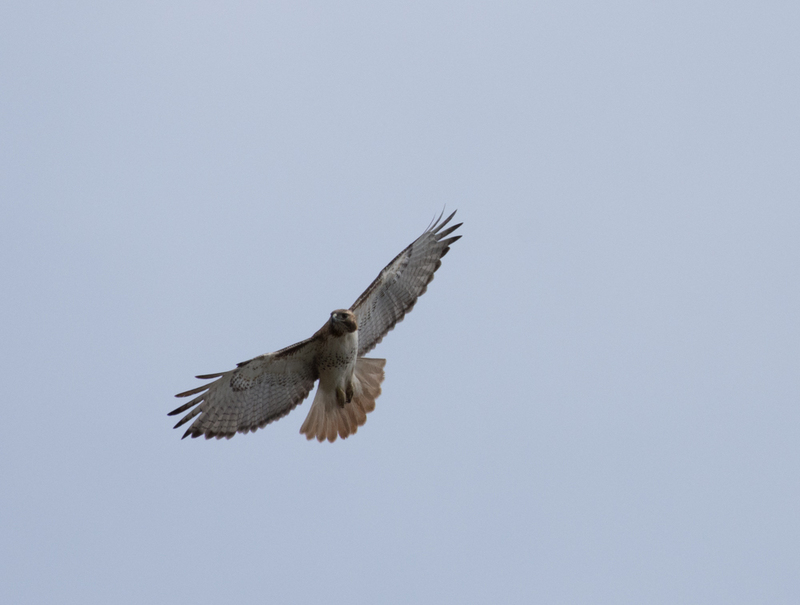 Red tailed hawk, a very common hawk in this area. 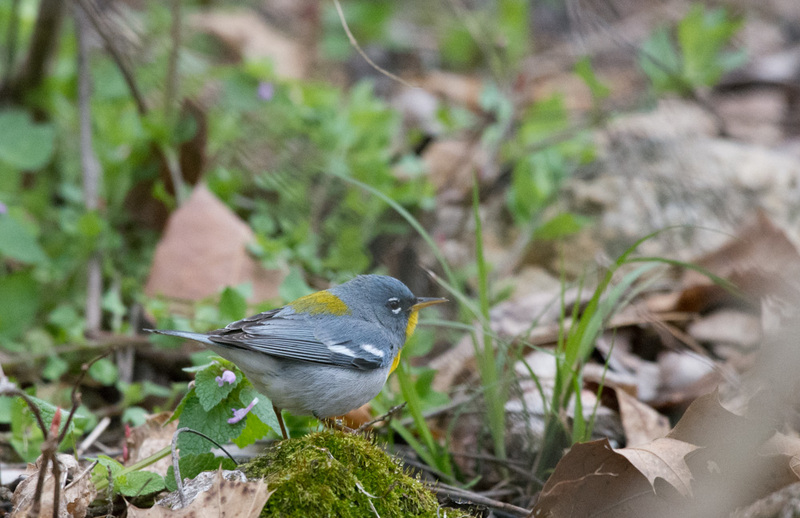 Northern parula foraging along the back paths. 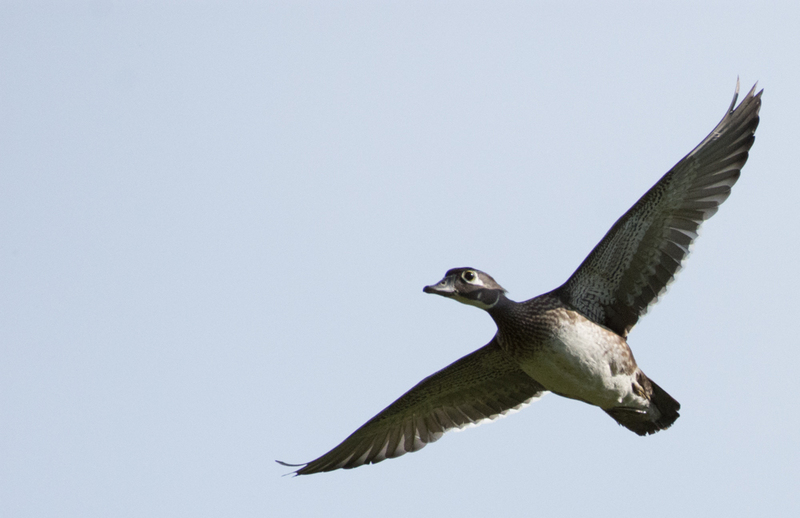 Female wood duck in flight. I am working towards making a field guide for East Wind/Ozark County. I know you may be thinking: “How can you not have a great blue heron or an eastern bluebird for this blog? !” The pictures here are just a small collection and I have a couple thousand images that I need to take the time to process. At this rate, I think I’ve got about another century to go before a first draft. Stay tuned! Thank you for all the amazing blog post. Your pictures are amazing. I am so intrigued by the community and can’t wait to visit. Even before I viewed all the amazing pictures you have captured of the birds there, I loved how you expressed your delight and awe of hearing the wondrous songs- “Just about anywhere I am on this land, for most of the year, I will hear the songs of birds and it gives me great comfort.” We’ll be visiting very soon and so look forward to meeting you! I am astounded by the quality of your photography. And good for you that you have become a birder, that’s a hobby we don’t think about in the city! Hahaha, glad you enjoyed them, thanks Dad! I grew up in the area, but had no idea what East Wind was, and the local gossip on it was outlandish. I’m so glad to finally have some insight. I no longer live in Missouri, but visit family regularly. When I’m next in the area, I’ll have to see if I can arrange for a visit. Based on the info, it sounds like shorter term visitors are allowed? Unrelated to East Wind directly, but to your photography: there’s a really great citizen science website called SciStarter. They posted a project called Bumble Bee Watch in which you upload photos of bees and use the site’s tools to identify the species. It provides the bee data to researchers to assist in (hopefully) stemming the tide of hive collapse and bumble bee loss in the US. I tried to leave a link for the SciStarter page, but then the site host blocks me as a potential bot. :/ You can Google “SciStarter Bumble Bee Watch” or if you want to email, I can send it to you. That is awesome! I will definitely check out the bumblebee site, thank you for that. Just send an email to ew.membership@gmail.com if you want to come for a visit!